Liza Soberano just couldn't stop her fangirling over the BTS K-Pop group. Together with Enrique Gil, the onscreen loveteam (LizQuen) were spotted queuing to watch the "BTS World Tour: Love Yourself" concert in Hong Kong. @dinospartanv posted on Wednesday a clip of the couple lining up at the AsiaWorldExpo where BTS's concert was held. More"Enrique Gil & Liza Soberano at BTS HK concert merch line. Took me awhile to realize it's them hahaha. When I saw Enrique first, I didn't notice Liza." Delighted Soberano shared her fangirl moment in his IG story with the BTS group, consisting of Jin, RM, Suga, J-Hope, Jimin, V, and Jungkook. "I can't believe I'm gonna see them in a bit," Soberano wrote in a photo of BTS performing live. 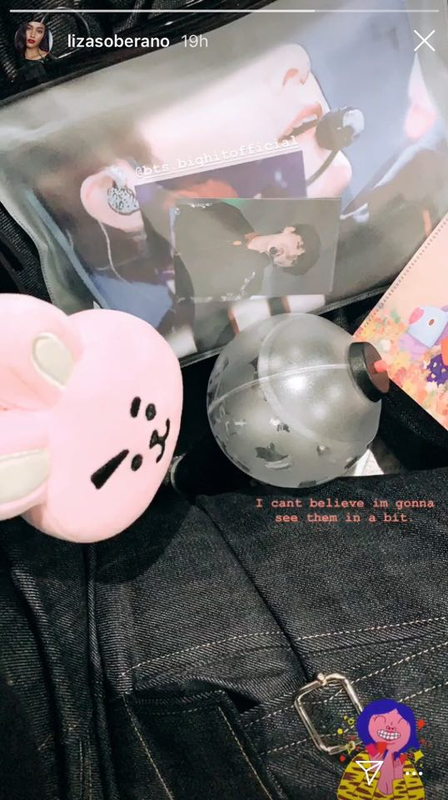 The actress have been very vocal about her admiration for the Korean boy group as seen in her Instagram stories. She even called "J-Hope" as "My Hope" last November on Twitter.